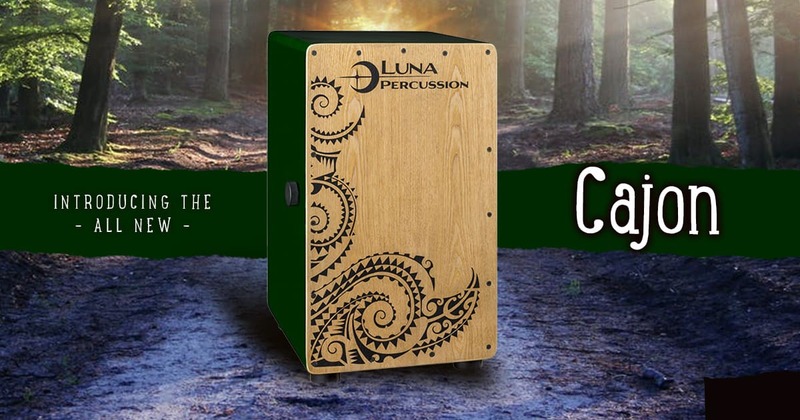 Tampa, FL – November 1st, 2017 – Luna Guitars, most commonly known for its creativity, introduces the all new Luna Cajon for 2018. The new Cajon focuses on enhancing 3 key elements of the performance from visual aesthetics to functionality and comfort. To ensure a sturdy structure, one can expect deep and punchy bass tones off the ash wood front piece while the body is supported by birch and eucalyptus woods. With a built in snare, drummers can control the flow and alter the rhythm of the music at any pace with the easily accessible quick switch of a lever for on and off control. Luna puts the finishing touch on the Cajon by applying the signature Luna Tattoo design on the front. Cajons are available in three colors; Black, Teal & Green. Each comes with a branded travel bag and a foam pad for comfort when sitting on the Cajon. A demo video is scheduled to be released later this year as well as additional photography. For more information regarding the Luna Cajon visit www.lunaguitars.com/cajon. 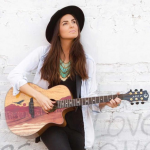 Luna Guitars is a line of exotic instruments, made for musicians of all ages and styles of play, that are tastefully crafted to engage minds, spirits and talent. Whether you are wanting to embrace the neo Ukulele movement, looking for a perfectly imbued travel guitar, or are simply looking to set your artistry ablaze with individuality from our Acoustic Guitars line, we stand behind you. For children, we also offer a line up Ukuleles, Electric Guitars, and Acoustics for that budding new talent. Designed by artists for artists. Create something beautiful with Luna.